BANGI 19 July 2012 – Several types of eco-friendly fuels, including solar energy, hydrogen fuel cell, bio diesel, organic waste fuels and ethanol are likely to be the total replacements of fossil fuels by 2050. An eminent renewable energy researcher from Iran, Professor Ghasem D Najafpour said the type of fuel sources that would be used would depend on the types of devices and the power needed to run the motors or engines to be operated. All the energy sources mentioned are currently being researched at The National University of Malaysia (UKM). Giving his Public Lecture on The Futuristic Source of Renewable Energyhere today, Prof Najafpour said renewable energy in the form of agricultural effluence and waste water can already be harnessed even with present-day technology. What is needed is a change in attitudes so that a smooth switch-over from fossil fuels to the use of such huge quantities of wastes and discharges available can be implemented by industries. He said industries should be exploiting such sources which are common and readily available while being cheaper and more environmentally friendly. The public lecture was organised by Fuel Cell Institute of UKM where Prof Najafpour is a Visiting Professor. Researchers in the United States harvested small amounts of waste energy harnessing it to turn water into usable hydrogen fuel. The new process provides many benefits including simplicity, efficiency and the ability to recycle an otherwise-wasted energy into a useable form. He said hydrogen fuel cells are the way to go for powering vehicles which can eventually replace petrol-powered piston engines. Fuel cell is being researched intensively at UKM. A fuel cell is a device that converts the chemical energy from a fuel into electricity through a chemical reaction with oxygen or another oxidizing agent. Hydrogen is the most common fuel but hydrocarbons such as natural gas and alcohols like methanol are sometimes used. Fuel cells are different from batteries in that they require a constant source of fuel and oxygen to run but they can produce electricity continually for as long as the inputs are supplied unlike batteries which needed to be charged constantly. The advantages of hydrogen fuel cells over waste water biofuels are that the former can be made compact and installed in vehicles, while the latter are more suited to large permanently-sited installations like treatment plants. Hydrogen gas yield from waste water is smaller compared to fuel cells. Thus a lot of effluence is needed to produce the same amount of power from a much smaller fuel cell. But the sheer quantities of waste products available in the country and their very low cost make them very useful in fixed locations, Prof Najafpour said. Ethanol and biodiesel have also proven to be quite economical and accessible. Ethanol fuel is ethyl alcohol, the same type of alcohol found in alcoholic beverages. It is most often used as a motor fuel, mainly as a biofuel additive for petrol. World ethanol production for transport fuel tripled between 2000 and 2007 from 17 billion to more than 52 billion litres. Ethanol fuel is widely used in Brazil and in the United States accounting for 87.1% of the world’s ethanol fuel production in 2011. Most cars on the road today in the US can run on blends of up to 10% ethanol. However ethanol cannot replace petrol completely. Biodiesel refers to a vegetable oil or animal fat-based diesel fuel consisting of long-chain alkyl (methyl, propyl or ethyl) esters. Biodiesel is typically made by chemically reacting lipids for example vegetable oil or animal fat with an alcohol producing fatty acid esters. It is meant to be used in standard diesel engines and is thus distinct from the vegetable and waste oils used to fuel converted diesel engines. Biodiesel can be used alone or blended with petro diesel. Biodiesel can also be used as a low carbon alternative to heating oil, he said. Prof Najafpour also predicted a bigger role for solar energy. Solar power is the conversion of sunlight into electricity by using photo voltaics (PV) or indirectly with concentrated solar power (CSP) which normally focuses the sun’s energy to boil water which is then used to provide power. 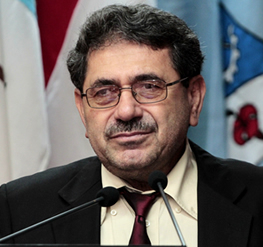 Prof Najafpour gained his masters in Chemical Engineering at the University of Oklahoma in 1977 and PhD in Chemical Engineering at the University of Arkansas in 1983. He is no stranger to Malaysia having served as an Associate Professor at Universiti Sains Malaysia from 1998 until 2005 when he was appointed as Prof in the Faculty of Chemical Engineering at Babol Noshirvani University of Technology, Iran. He is the recipient of a number of gold medals for research and innovations, including a gold medal for the Invention/Innovation Awards for research sponsored by Malaysia’s Ministry of Science, Technology and Innovation (MOSTI) in 2003. Currently he is supervising a number of PhD scholars and conducting top research projects on biodiesel, biohydrogen, biofuel, bioethanol and other renewable energy sources.